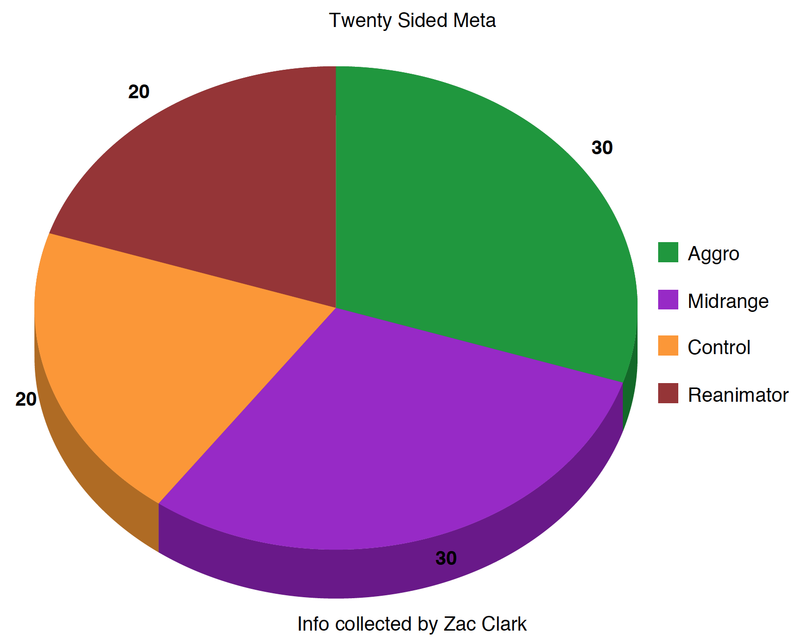 State of the Meta is a weekly column appearing every Friday and reporting on the previous week’s FNM Meta at Twenty Sided Store, Hipster’s main base of operations—yet with which we are in no way affiliated. With such a small group of players coming out it’s hard to really analyze any of this information. We know Matt Jones 0-2 dropped with his Four Color Reanimator deck. One of the Gruul Aggro went 3-1. Naya Midrange, if memory serves, split in the finals. WHAT WILL THIS PIE CHART LOOK LIKE AFTER STANDARD TONIGHT? See you next Friday with the results. I think Dustin (Naya) beat Fetto (Grixis Seer) in the finals. Yah, i went 3-1 with grixis seer losing to Dustin’s Naya Midrange in the finals. There was actually 2 4C Reanimator decks – I was the other one and went 1-2 drop.